For your Christmas gift, click here. To buy Father Dave a drink, click here. A lot has happened since my last post. 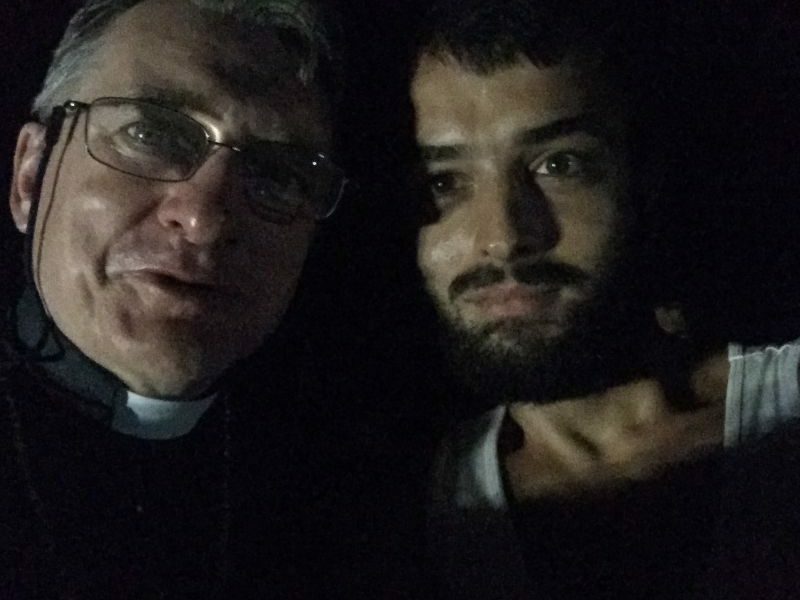 Most notably, I’ve been to Manus Island, and have visited the asylum-seekers being detained there by the Australian government. You may have already seen the TV coverage we received on Lateline or watched he video on the Getup website. I’ve debriefed our experience in a sermon (featured below), and I refer you to that for the details of our trip. 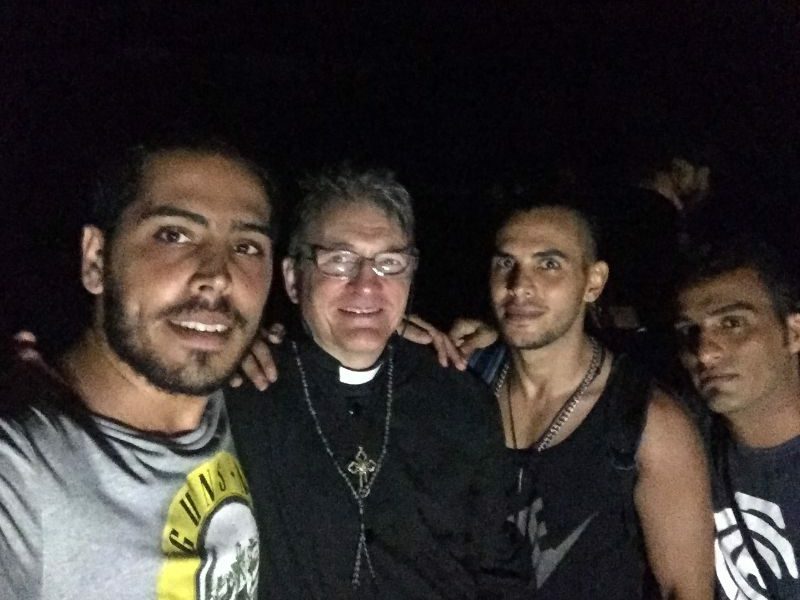 What I’d like to do first though is to talk a little about why we went to Manus and what has resulted from it. 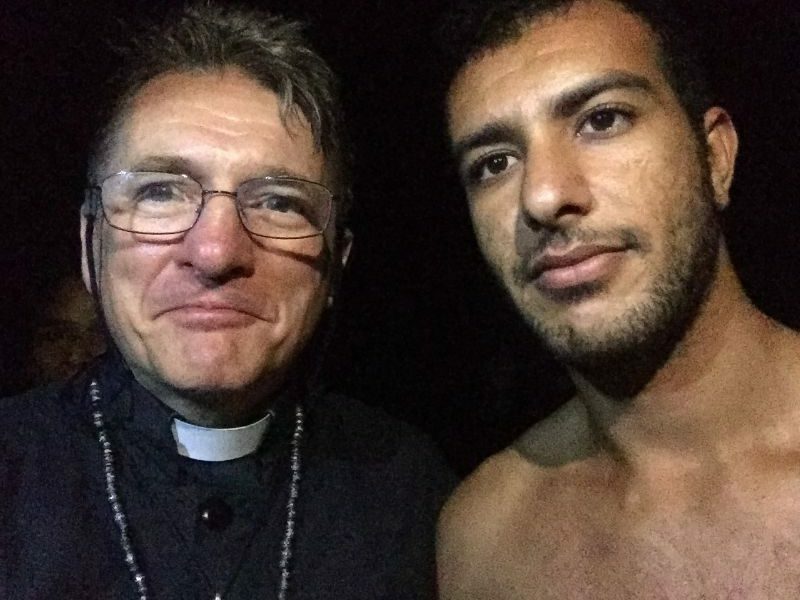 I confess that I knew very little about the goings-on on Manus Island until very recently. I knew the Australian government was shipping asylum-seekers there for processing (as with the island of Nauru), and I had heard talk of abuse and violence and even death! Even so, it seemed impossible to find out exactly what was going on as the Australian government seemed to have placed a media blackout over the entire area! This is what initially concerned me – that I couldn’t get answers to my questions. What was going on there? 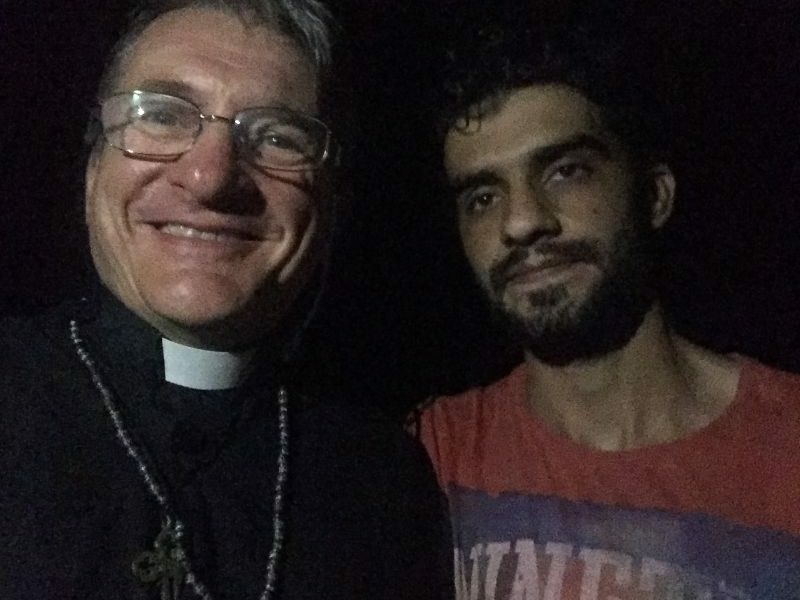 What was the Australian government doing to these men? 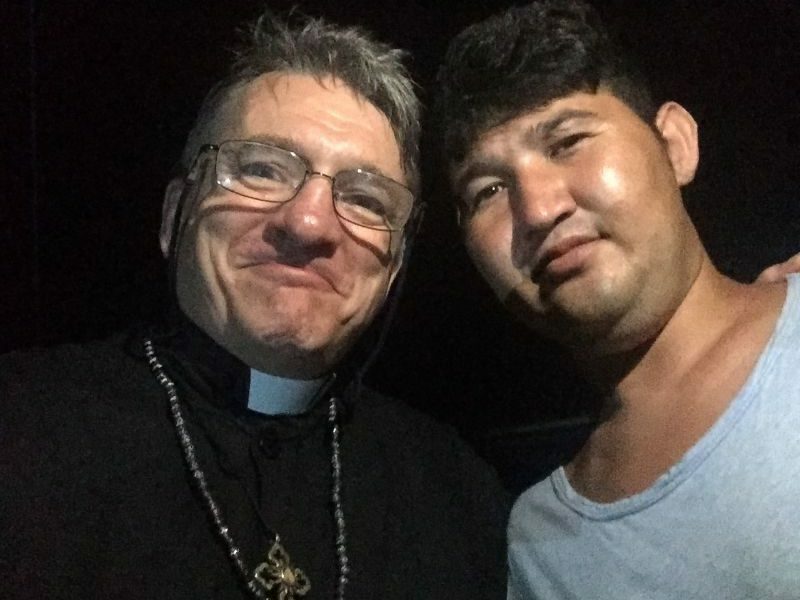 How was the church responding to these allegations of violence and abuse – both the church in this country and the church on Manus Island? I started ringing around and asking church people what they knew. 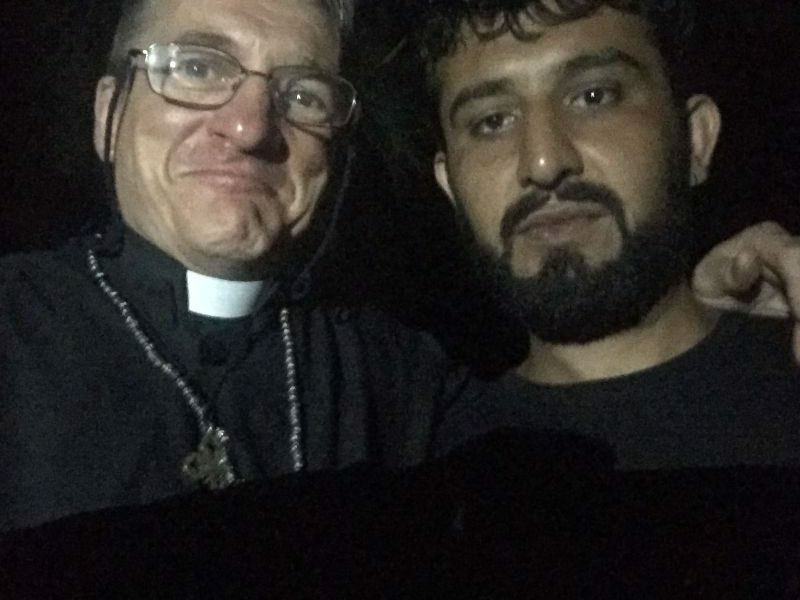 Nobody seemed to know anything, so I put out a Twitter tweet to some of my more notorious clergy friends – Father Bob Maguire, Father Rod Bower, and Pastor Jarrod McKenna – and asked them whether we should try to charter a plane and get out there to see what was going on. 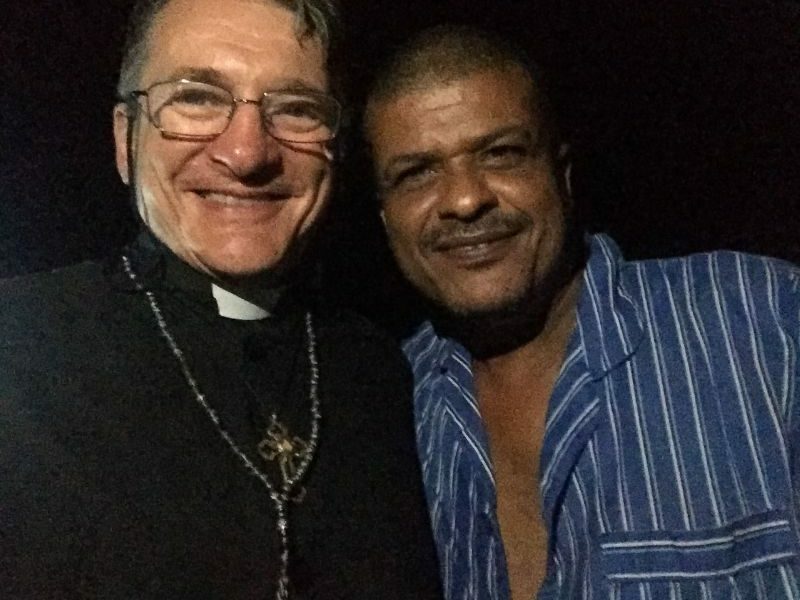 The result was that within a week, Pastor Jarrod and I were boarding a plane for Papua New Guinea, hoping to successfully make our way from Port Moresby to Manus Island, and from Manus to the detention centre. In truth, we would never have boarded that plane if it weren’t for the good people of Getup! Those guys sponsored and organised our trip, and they stuck with us every second of the way – even communicating with us via text messages as we floated around in a dingy in the middle of the night, desperately trying to find the right beach to land on while avoiding the local navy (who were based on the adjoining beach)! It was a massive effort from a wonderful team of people – some based in Oz and others on the ground in Manus – and I am deeply grateful to them all. 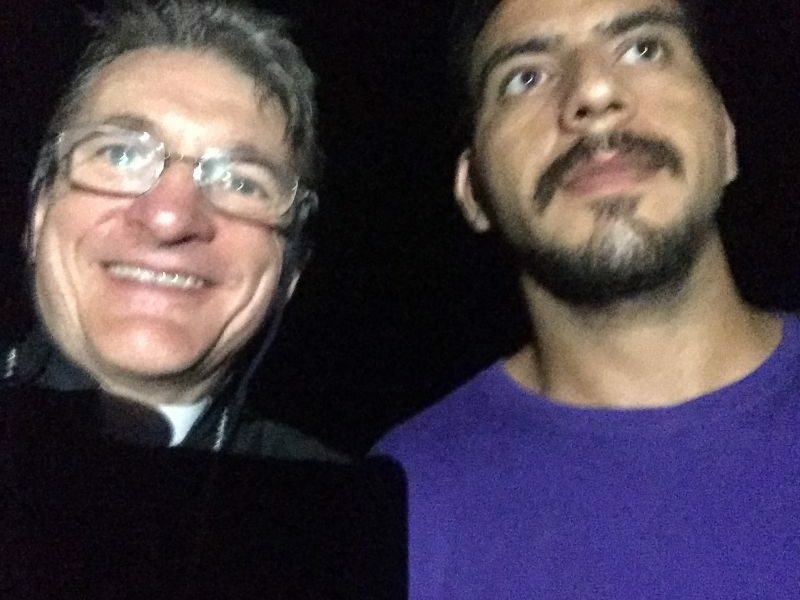 I only pray that we were able to achieve something on Manus that will contribute to the long-term good of these detained men. What we discovered in that decommissioned detention centre was quite remarkable and (for me) quite unexpected. I had expected to find men suffering, and I did find that, but I found something else there too. I found community! 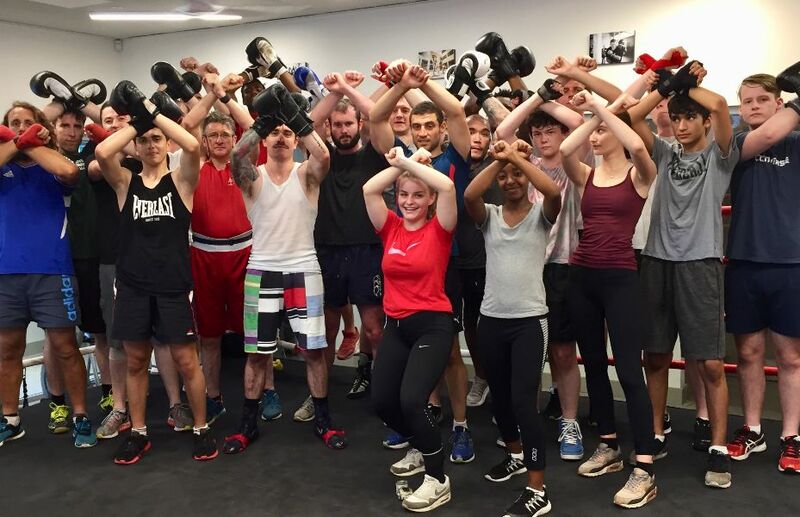 The detainees we met on Manus Island were a close knit community – a band of brothers who had learnt to live and work together and to depend on each other. The men had a clear leadership system with strong democratic accountability (demonstrated through regular camp-wide meetings). They had a centralised healthcare system, with all the men pooling medications that were then distributed as needed. The mentally ill were being looked after on a rostered basis (with different men walking them around the compound). The engineers used their skills to build wells and to maintain the electrical supply (where possible). In short, they had developed a highly functional society, which explained why they were refusing to be broken up and shifted to new facilities. Why would they abandon their brothers, who they knew they could trust, for promises made by the Australian government, who they knew they couldn’t trust? Within a couple of days of our visit these men were forcibly moved, and bussed to new facilities that weren’t ready for them. 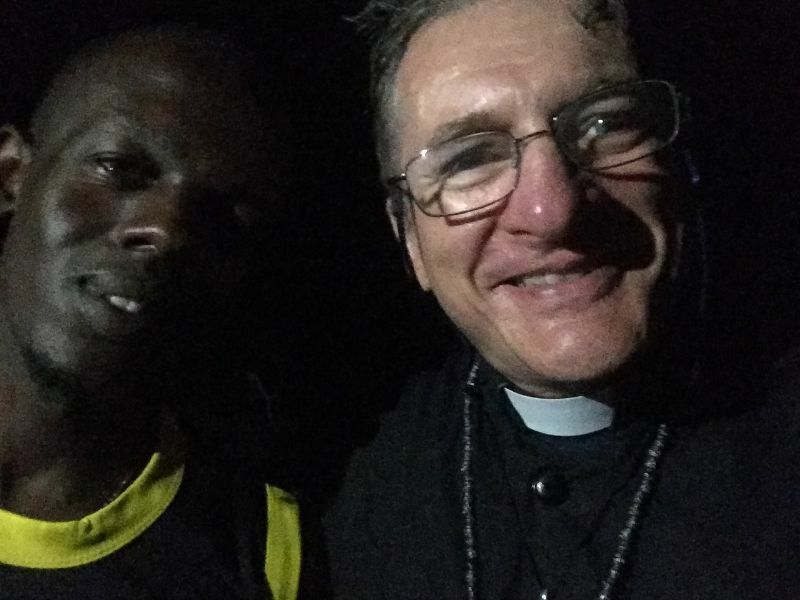 The result was that hundreds ended up sleeping by the roadside, with their clothing and provisions having been left behind. Since then things have only got worse. At time of writing, many of the men have apparently been without fresh water for two days. Others are suffering from various medical conditions. And what has the Australian government done about this? 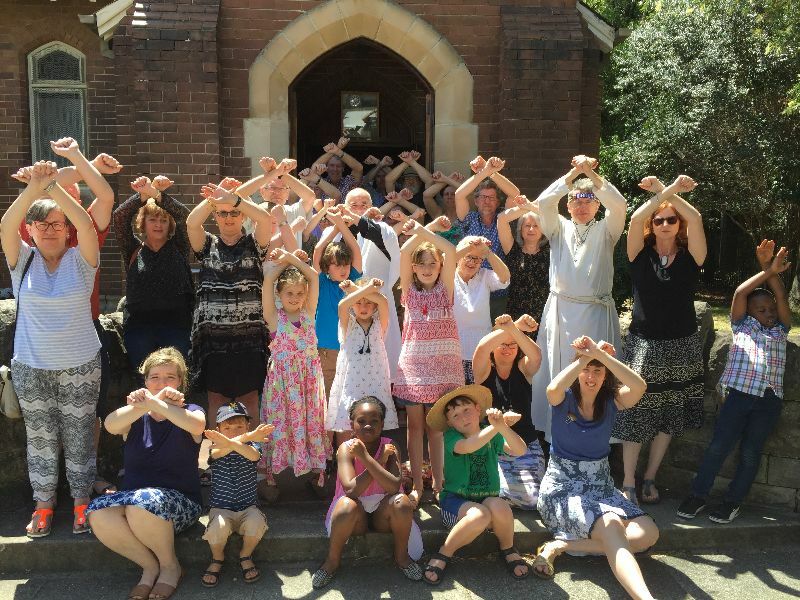 Last week they blocked Médecins Sans Frontières (MSF) from sending doctors into Manus to attend to the sick! 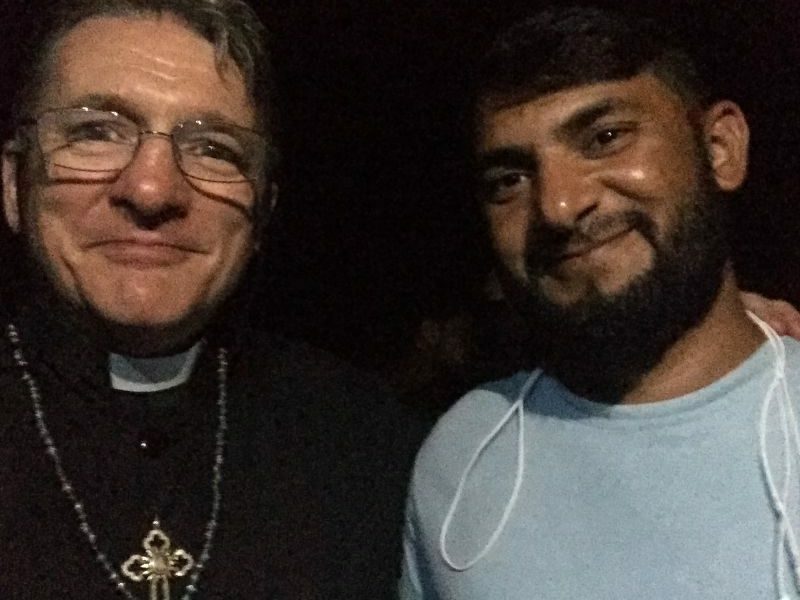 This week they voted ‘no’ to an offer from the New Zealand government to give two hundred of these men immediate refuge! These developments frankly leave me dumbfounded! I thought us Aussies were supposed to be the good guys. I thought it was only evil regimes run by unscrupulous dictators that deliberately tortured and killed people. I was wrong. So, what did our team achieve by going to Manus Island? I believe we were able to bring some spiritual and emotional comfort to the men – letting them know that they are not alone, and that not everybody in our country is against them! 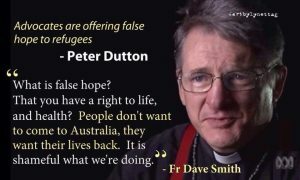 I hope we have also helped to bring something of the truth of their situation back to the Australian people. As I say, there seemed to be something of a media blackout on the entire situation, and how could we know how to respond if we didn’t know what was going on? Now that we know, what do we do? Well … somehow, we have to find a way of bringing human values back into the Australian political process. It is not uniformly bad news in that regard. 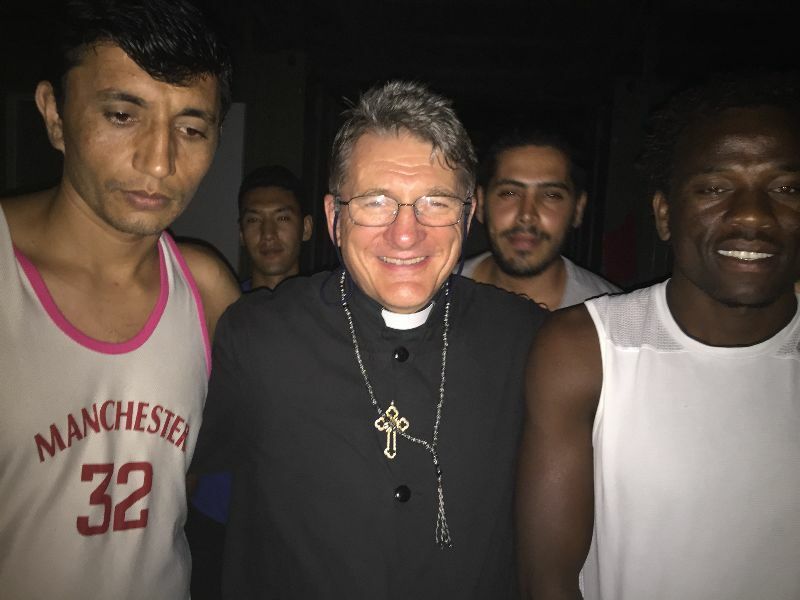 The decision to refuse New Zealand’s offer to give refuge to some of these men was only lost by one vote, and I think that’s probably pretty indicative of where things stand. Indeed, I received an encouraging mention in Anthony Albanese MP’s speech in support of New Zealand’s proposal (which you can watch here or read here), and that did remind me that our Parliament is not completely made up of thugs. 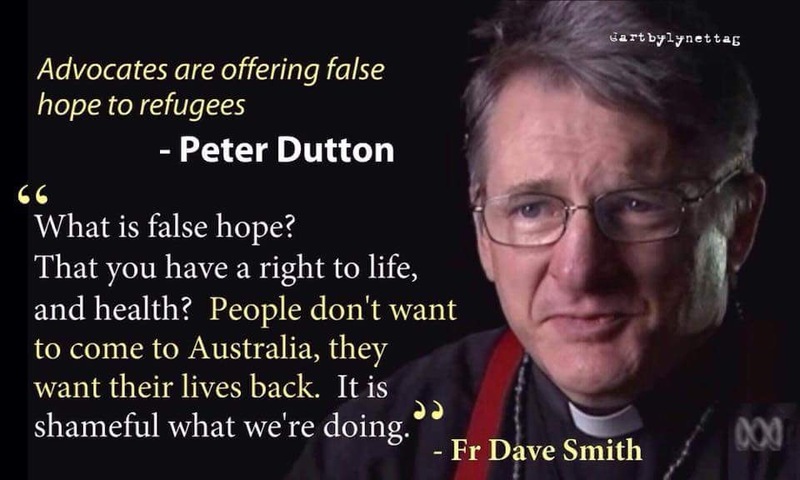 I’m personally convinced that the majority of Australian people – politicians included – do believe in giving a fair go to those who come to our shores seeking protection. The problem is that we are a (largely) silent majority, and it’s time we spoke out! It’s time that the church spoke out too. 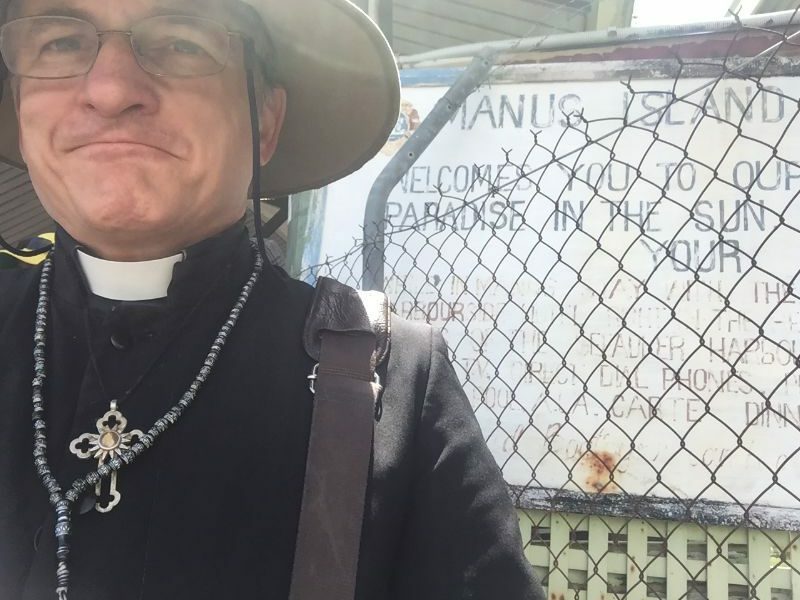 I appreciate that some church leaders on Manus feel they need to keep quiet. That’s because they are busy sneaking food and medicine to the men, and don’t want to draw attention to what they are doing. There’s no such excuse for the church in this country. We should be unequivocal in our concern for welfare of the men, and in our condemnation of our government for abandoning them. Having just visited Jesus in prison, how could I not take this opportunity to talk about it. If you’d prefer the written version of this address, you’ll find it here. If you’re free on Christmas Eve, join us for carols on our front lawn (7 pm).